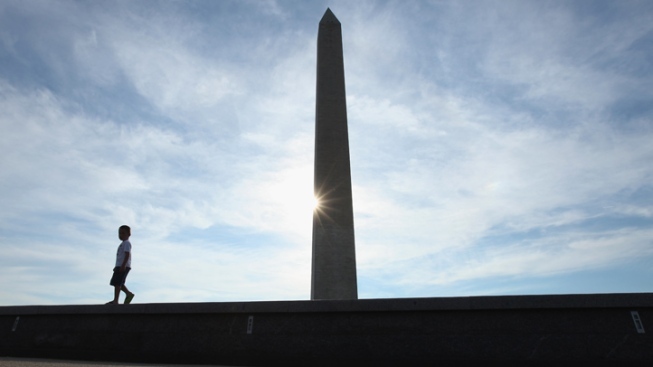 A lighting ceremony for the Washington Monument is scheduled for Monday evening by the National Park Service. The monument is under construction and is slated to reopen Spring 2014. A blue-gray "scrim" now covers the monument, which will be illuminated to make it look as though it's glowing in the dark. The ceremony will begin at 8 p.m. Monday, July 8 on monument grounds. The monument was damaged during a 5.8-magnitude earthquake in August 2011. It has been closed ever since. Repairs are predicted to cost about $15 million. Let the Washington Monument Repairs Begin!